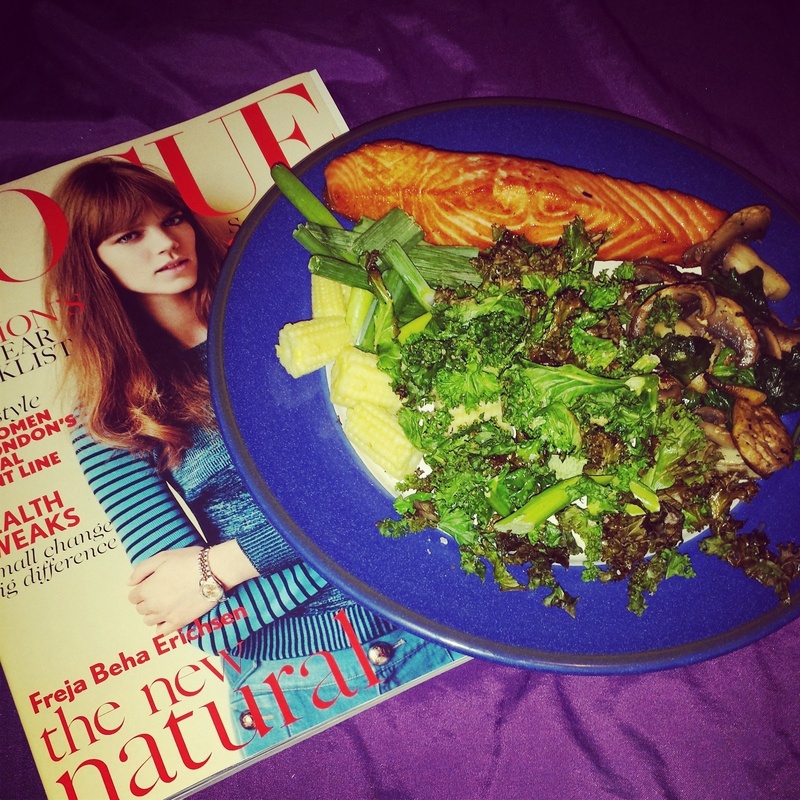 What better way to spend an evening after the gym then to cook an healthy meal and read January’s issue of Vogue. I am loving lots of green vegetables after a week of eating tonnes of christmas food! After the gym fish and vegetables are perfect, protien and lota of goodness. Cook ya’self a salmon fillet teamed up with krispy grilled kale, mushrooms, spinach and sweet corn! Goodness all on one plate! This entry was posted in Uncategorized and tagged #fashion #fitnessblog #healthy #food #vogue #lifestyle. Bookmark the permalink.